Climate Change. Poverty. Hunger. It’s all the same fight. This week thousands of people around the world are standing shoulder to shoulder with rural women, who are not only feeling the harshest effects of climate change but, in the face of woeful government inaction, are also leading the fight in feeding their communities, and the world. We meet women like Ipaishe, a farmer in Zimbabwe who is passionate about farming and vocal about the causes and solutions to climate change. And Langging, a young activist in the Philippines who thinks we should stop blaming each other and start doing what’s right – “imagine the impact we could have”. Across six continents and more than 20 countries these women’s voices are being heard; on the streets, by politicians, online, in forums, at flashmobs, through song, through dance, at festivals, dinners, and on film. Welcome to GROW Week 2015! Raising these voices this GROW Week is particularly significant as we are now just weeks away from the UN Climate Negotiations in Paris where government leaders from rich and poor countries will make big decisions about climate change that will affect all of us. 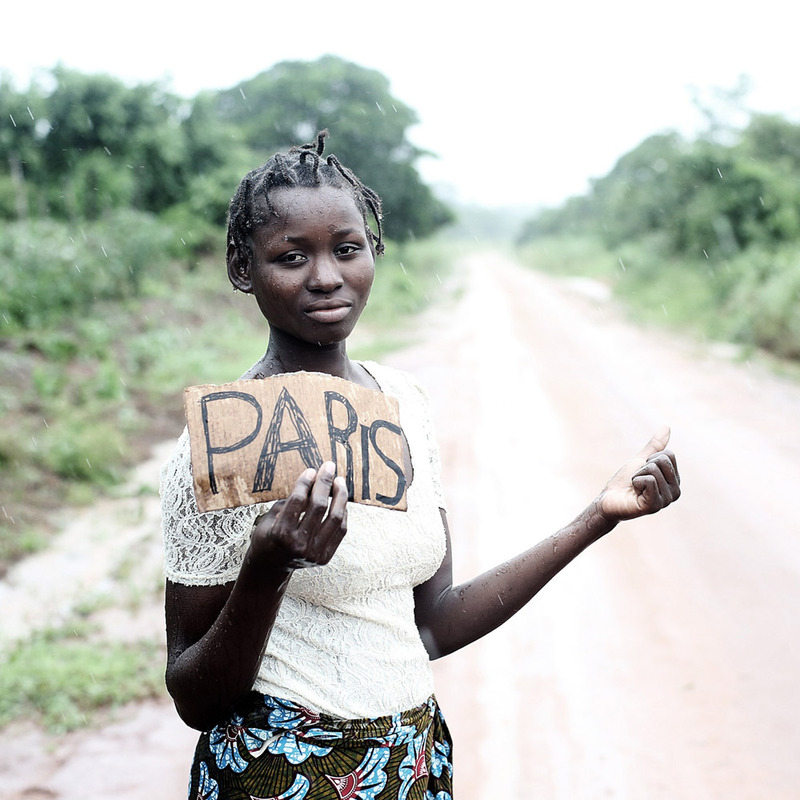 Climate change is changing the world we love. It’s putting our homes, our land and our food at risk and it’s threatening the fight against hunger. For most of us, it means less quality food, less choice, and higher prices. For nearly a billion people already living in poverty, it means more hunger. Our message to leaders is that they must ensure that money to help people cope with the effects of climate change is on the way up, and the use of fossil fuels, the biggest drivers of climate change, is on the way out. And they have to start by protecting the people whose lives and livelihoods are most at risk. This GROW Week we stand together to show what’s already possible and urge leaders to be as ambitious as these women in Paris. Hear straight from Ipaishe, Langging and others here. Read more about Climate Change. Poverty. Hunger. It’s all the same fight. I have done a yard-sale to raise funds for Syrian people who are refugees. It is not nice for anyone to live in tents in cold. I just don’t agree with it. Sometimes the most powerful words come from children. The above letter to our Dublin office accompanied a cheque for €32.41 for our Syrian emergency response. This donation is most welcome – it will help provide safe drinking water and other aid to Syrian refugees living in camps and experiencing the most difficult of times. But the letter’s message – about what’s fair and what’s right – is just as powerful. Forced to leave their homes and everything they know behind, Syrian refugees have had to put normal life on hold indefinitely, living in camps and informal settlements many miles from home where basics like a warm place to sleep, enough food to eat and a school to go to are difficult to come by if not impossible. Hearing about the challenges faced by the Syrian relatives of a family friend and watching coverage of the crisis on the news made Dubliners and best friends Grace and Nina want to help. Above: Grace and Nina's letter to Oxfam. Grace and Nina telling us their story. A picture from the girls' yard sale for Syrian refugees. Grace's mum, Susan. Grace’s mother Susan spoke to them about the situation faced by Syrian refugees. “We have a friend whose family are living in the refugee camps near Syria who had to flee their homes,” Susan says. “I had an image in my head of children in the camps not wearing shoes around the time of it being winter and it really kind of hit home. They were freezing cold and they didn’t have the comforts of home in addition to all the trauma they were going through. There was lots to do including posters to make and rice crispie buns to bake. The pair also parted with some favourite toys and the event was a big success. The girls have been inspired by what they’ve achieved (they raised a total of €64.82 and divided the funds between Dogs for the Disabled and Oxfam Ireland), so watch this space! Out of a total of 22 million people living in Syria before the crisis, more than half the population has been forced to flee their homes, including more than 4 million who have fled to neighbouring countries. Along with providing Syrian refugees in Jordan and Lebanon with clean drinking water and relief supplies like blankets and stoves, we are also helping families get the information they need about their rights and connecting them to medical, legal and support services. Other work includes building shower and toilet blocks in camps. We are also providing clean water in Syria itself. 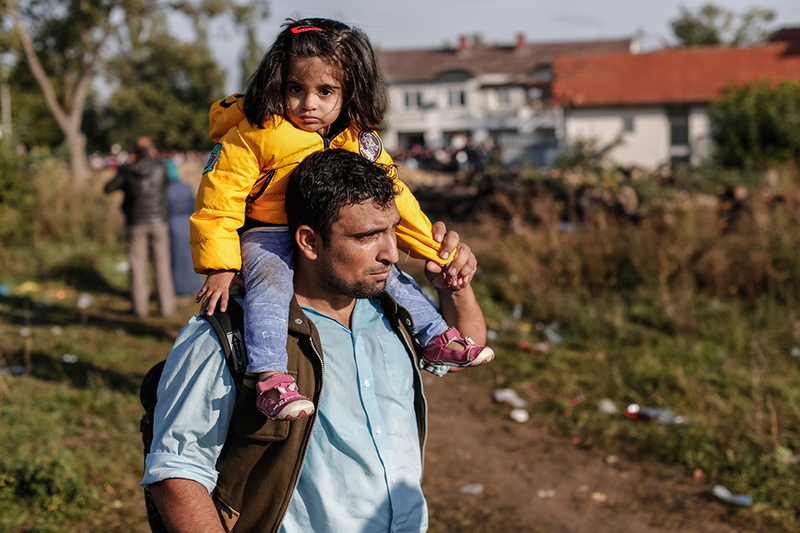 We have also begun an emergency programme in Serbia providing clean water and sanitation to help some of the thousands fleeing to safety, including many Syrians, who will soon face a harsh Balkans winter. Meanwhile in Italy we have programmes providing asylum seekers who have been saved from the Mediterranean Sea with housing, food, psychological support, legal assistance and language classes. We continue to campaign and advocate for an immediate ceasefire and a sustainable and inclusive political solution to the conflict in Syria. We are also highlighting the individual stories of refugees to make them more visible through the EUsaveLIVES joint campaign with the European Commission. When we shared Grace and Nina’s letter with colleagues working on the Syria crisis emergency response, the message of support made their day. To know that people like Grace and Nina care about what’s happening to Syrian refugees and want to help, inspires us all. By highlighting unfairness and how to do something about it, as they have, the future can be better place. 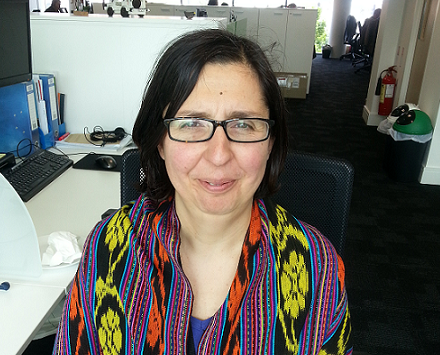 Dr. Enida Friel is Oxfam Ireland’s Programme Quality Manager. The images of three-year-old Syrian toddler Aylan Kurdi’s body washed up on Turkish shores have shocked me to the core. The images of asylum seekers walking along Hungarian railway lines to reach places of safety in Germany and parents holding scared children behind barbed wire across the Macedonian Greek border have brought back memories of refugee crises I worked in many years ago in Kosovo and West Africa. As a medical doctor on the frontline, I saw malnourished and unvaccinated children dying of preventable diseases; their mothers holding them in their arms with incredible dignity. I saw fathers feeling hopeless that they could not protect their families from danger. But I also saw failure of governments to act and vested interests – political and economic – taking precedence over humanity. All of this eventually became too much to bear, so after six years of this kind of work, I decided to move to Ireland and help in a different way: I joined Oxfam Ireland. As a non-Irish national, I experienced the warmest welcome by Irish people. Over the ten years I have been living here, I have learned about the plight of Irish immigrants throughout the decades and the wonderful Irish tradition of solidarity with people in need, like the people I’d served overseas. I became a proud Irish citizen seven years ago. It is therefore with regret, as an Irish citizen, that I observed our government’s reluctance at first to take on more refugees in Ireland following the crisis unfolding in the Mediterranean. However, today, when I spoke to Oxfam colleagues in Italy who are on the frontline providing life-saving support to refugees like the children, women and men that have flooded our screens and newspapers, I was proud to say that Oxfam Ireland and its Irish supporters are here to help. During my time in the field, I sometimes had the chance to chat with children coming to our clinics and I would ask them what they would like to become when they grow up. I remember the very first time I asked this question and the little boy, the same age then as my own son is now, said a doctor. I flattered myself thinking that I was his inspiration. But with time I realised that, despite circumstances, they were people with the same hope and dreams as me. Mothers and fathers who wanted the same things that I want for my children. Ireland can and must help. Irish people, the people who are donating to Oxfam Ireland and signing our petition, want to see an end to this unnecessary and yet preventable human suffering. They don’t want what’s happening now – in the Mediterranean shores, across Europe, in Syria or beyond. This is not in their name. This is not in my name. 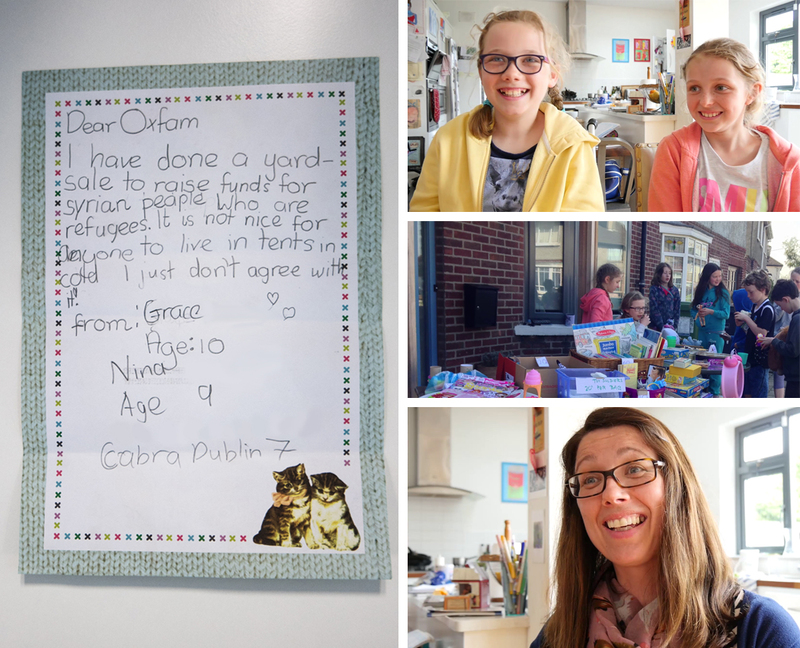 If you can, please help by donating to Oxfam Ireland’s Refugee Crisis Appeal. If you live in the Republic of Ireland, please sign Oxfam Ireland’s petition and send an email to An Taoiseach Enda Kenny demanding that Ireland increases the number of refugees we accept and leads by example at the upcoming emergency EU Ministerial meeting on September 14th. This will send a strong message to our government that this is not in in our name. The number of refugees and people displaced by conflict has surpassed that reached during the Second World War. Each of the people who comprise the staggering number of 59.5 million has a name but they are often faceless. Working alongside the European Commission’s Office for Humanitarian Aid and Civil Protection Department (ECHO), we want to make them visible. 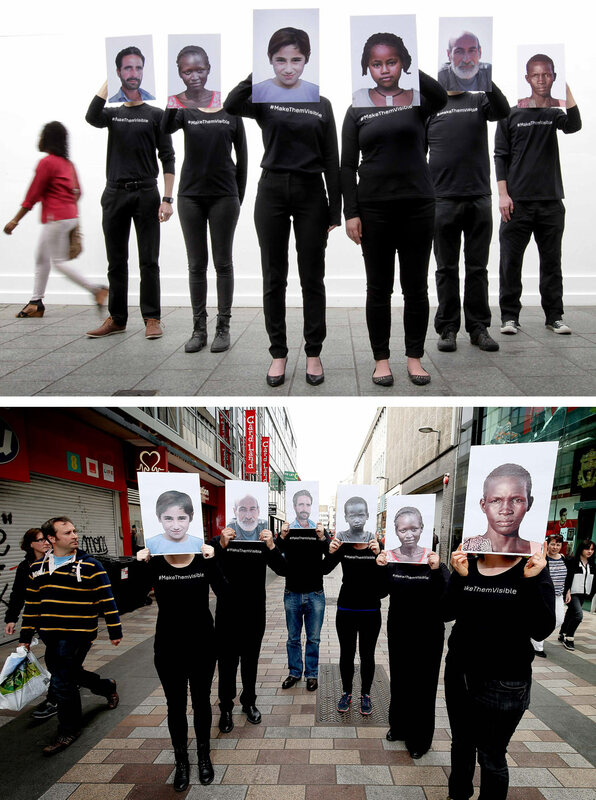 To mark World Refugee Day (Saturday June 20th), Oxfam Ireland volunteers in Belfast and Dublin have been highlighting the people behind the statistics to #MakeThemVisible. It’s part of the EUsaveLives campaign to raise awareness of the individual stories of refugees and displaced people from countries like Syria, South Sudan and the Central African Republic. Tweet your support on World Refugee Day 2015 with #MakeThemVisible. Movies have an astronomical impact on our society. Our most critically acclaimed movies often have strong political and social messages, about equality, freedom, environmental justice and capitalism. Analyse your favourite film, there will undoubtedly be a subliminal message underlying those Hollywood effects. Somehow when its packaged up for the silver screen it is easier to break through and get us thinking about the world we live in, what’s really going on …and what it could be like. Films have powerful effects on our aspirations and actions. One woman can fight the multi-million capitalist system to save the health of her neighbours; one small robot can change how we treat our precious planet before it’s too late. The way we respond to movies affects our awareness of events and people in our world, Erin Brockovich (2000) and WALL.E (2008) are no exception. Filmmakers have expanded the horizon of what’s possible; they teach us about the lives of the brave, the bold and the outrageous. Underlying the entertaining story and actors, important paradigms are at play. Hotel Rwanda (2004) tells the real story of the choice faced by one hotel manager when his country was collapsing into genocide around him. It’s not without controversy but the film directed by Belfast-born director Terry George, puts us in the position of what would we do and what do we do faced with turmoil and violence? In The Pursuit of Happiness (2006), Will Smith tells his son not to practice basketball as he himself was never good at it. Discouraged, his son walks away from the court. The father follows, “You got a dream, you gotta protect it”. How can filmmakers turn an instance of self-doubt into a social campaign? Movies like these make us profoundly aware of rigid social systems we are creating to prevent social and financial equality, often in the countries where it is needed most. What do Philadelphia (1993), The Green Mile (1999) and Forest Gump (1994) have in common? Apart from Tom Hanks, they teach us of the need to become aware and to act. What better way to create change than to highlight severe discrimination against a minority, or an individual ability to change history. At the heart of the fast-paced, effects-heavy Avatar (2009), there is a message about social equality and harmony with the earth, and further, what we consider to be human and civilised. Other movies shed a light on complex real-life situations and structural problems - as Syriana (2005) shows how oil money can drive political and power struggles or Blood Diamond (2006) reveals the links between civil war and the global trade in precious stones. Some messages remind us of our troubled past, Selma (2014) and Gandhi (1982) embrace political activism with an individual stamp. The power of films to create a stir cannot be underestimated, whether a sci-fi, a historical depiction, or even a Disney cartoon, movies can have strong messages which we can use to make the world better - one film at a time! Join us this April at The Better Film Fringe, part of Belfast Film Festival, brought to you by Oxfam and the Coalition of Aid and Development Agencies. And join the conversation: what movies have inspired you to act and think differently about the world? Read more about Lights, Camera…Take Action!